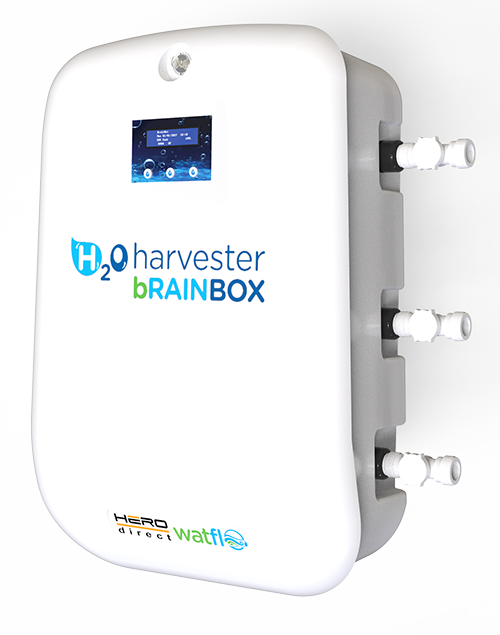 The H20 harvester brainbox is an electronically controlled water flushing system operated by a computerised printed circuit board which orchestrates the direction of water to several outlets. Hosepipe, toilet flushing, all outdoor water requirements and an intermittent setting for hanging basket, window boxes, shrubs and lawn watering. Intermittent timer settings to be able you to water hanging baskets, window boxes, patio planters, tomatoe plants and lawns.